Dog ownership is full of perks, but fleas and ticks are not one of them. Flea infestations are uncomfortable for your dog, and can even cause health issues. Flea collars for dogs are an amazing solution you’re looking for an easy and convenient method to fix this tricky problem. Using a collar takes all the hassle away. The alternatives include using sprays that not only make a mess, but smell pretty badly. Not taking any measures will eventually result in you having to sit down and check every single one of your pup’s hairs for intruders. This is why you shouldn’t even think about it and just get them a collar. These don’t come in a one-fits-all size, although that would be awesome. Doing all the market research can be overwhelming. This is why we’ve done the work of comparing dozens of flea collars and reviewing important factors. It’s essential to select the right flea and tick collar for your dog’s health and comfort. In this review, we’ll look at various methods of keeping those nasty bugs away. We’ll focus on collars and give you a comparison of the best products on the market. We’ll divide them by price and comment on effectiveness. Customer reviews will be taken into account as well. It’s always a good idea to see what those who have used the products have to say. After all, you don’t want to spend a whole bunch of money on something that doesn’t work, do you? Hopefully, by the time you’re done reading this comparison and review, you’ll have a good idea of what you need based on the type of canine you have and their behavior. Collars vary by the size and weight of dogs they could be used for, so make sure to read the details and take that information into account. Bayer’s Seresto dog collar is the best solution for killing fleas and ticks on the spot. Its effective formula of insecticides (Flumethrin and Imidacloprid) and long lasting 8-month lifespan give it an upper hand over the competition. 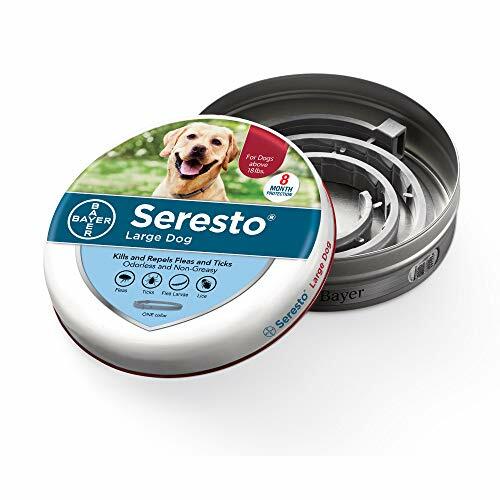 The Seresto collar is expertly designed to replenish its active ingredient flumethrin if the supply is depleted. It’s not only effective against adult fleas and ticks but also flea eggs, larvae, and even lice. This is really important because you want to prevent your pet from attacks regardless of what stage the bugs are in. Pet owners find Seresto to have an outstanding ability to prevent fleas and ticks from ever biting your pet’s skin. This collar ensures your dog’s safety with a quick release feature should it get caught on anything. It’s non-greasy, water resistant, and odorless. It’s got you covered with one designed for large dogs, and one for dogs under 18 lbs. Prevents the bites of sand flies and mosquito-bites and infestations with ticks for 6 months! 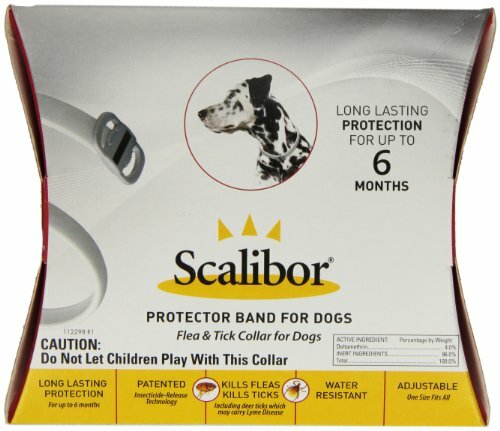 While they run on the pricier side, Scalibor Flea Collars are one of the most popular and effective methods of flea and tick prevention. This collar is durable, so if your dog gets into a lot of mischief, the Scalibor collar will stand up against rugged wear and tear. Due to the price, many pet owners choose to use it once a year for the 6-month duration. Then, they alternate between products. With 4% of the insecticide deltamethrin, this is one of the strongest over-the-counter flea treatments for dogs out there. It should not be used on puppies 3 months or younger and kept away from children. Merck suggests dog owners consult their veterinarian before choosing the Scalibor collar for pregnant, senior, or sick dogs. This should apply to the use any product out there, really. Safety comes first. 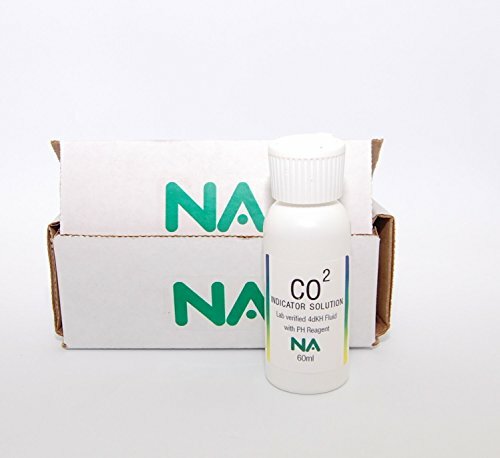 Note that though it offers 6 months protection, the maximum efficiency is reached within 3 weeks. This collar comes in just one size. You can adjust the buckle easily. It’s gentle on the nose and has no odor. 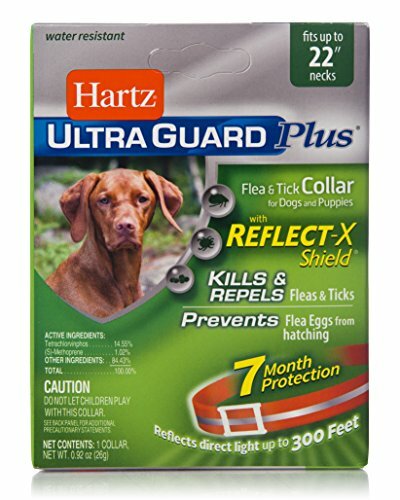 If you’re on a budget, Hartz Ultraguard will be the easiest on the wallet when it comes to flea treatments for dogs. A two-pack buys you 5 months of protection. Though pet parents have given it mixed reviews as far as effectiveness, for such a low cost it’s worth trying out. It’s designed as a large dog collar with a length of 26,” but is easily adjustable. Despite the fact that this one isn’t the most effective out there, it can be a solid prevention choice. It will repel fleas rather than uproot an existing infestation. Ticks aren’t only annoying to deal with, the illnesses they carry can cause fever, anemia, paralysis, and lameness in dogs. That’s why getting a collar that’s made specifically for tick prevention for dogs, like Virbac Preventic Tick Collar, can be a lifesaver. Amitraz, the insecticide that works as both a tick repellent and to kill and detach ticks, works wonders for a 3 month period. If you’re worried about mites that cause sarcoptic mange, mites are in the same family as ticks and may be controlled by Virbac Preventic and other tick collars. 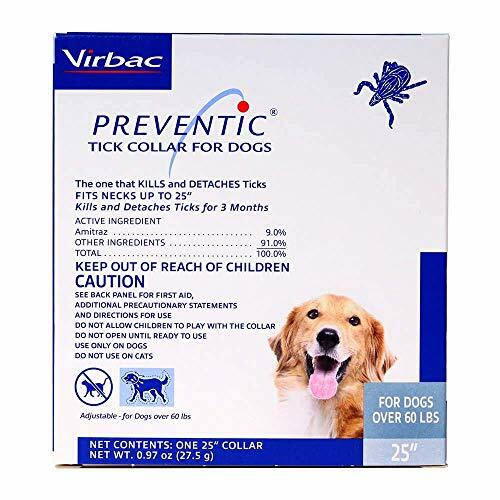 Though it does not work for fleas, if your dog is frequently in areas where ticks are prevalent, this collar buys you tick protection and peace of mind. If your dog is sensitive to chemicals or you’re looking for natural flea and tick treatment option, the GORAUL Dog Flea Collar is an excellent choice. It uses a blend of essential oils, including Eucalyptus and Citronella, two very safe active ingredients that have no side effects. This collar is waterproof, so whether your dog is going for a swim, a walk in the rain, or getting a bath, you won’t have to worry about the collar losing any effectiveness. This adjustable, reasonably priced option works for 8 months. Sentry Fiproguard is a waterproof collar that will kill fleas and ticks as well as lice, flea eggs, and larvae, for up to 6 months for each collar, and comes in a 2-pack. The majority of customers that have used this on small dogs have not been satisfied with this product where customers with big dogs have had success. This is a good reminder to learn from other pet people before choosing the right product for you. Flea collars do contain pesticides that have to be toxic in order to get rid of those nasty fleas. The use of anything toxic comes with some risks, but if used correctly they shouldn’t harm your dog. Spot on treatments use the same chemicals, so it’s not just flea collars. If you’re worried about using toxic chemicals, there are plenty of natural options, and of course, should your pup react badly to it, remove it immediately. This depends on the flea collar, the active ingredients, and the age of your puppy. Most collars are easily adjustable, but if your puppy slips out or it falls off this can pose a problem if the collar gets chewed. Even if it says it’s safe for puppies, the pesticides in flea collars are not meant to be ingested. It’s been proven both with clinical evidence and customer testimonials that flea collars do indeed work. Some flea collars are more effective than others. This is why if it’s in your budget it’s a good decision to go with an established brand. When should I expect to see good or any results of this collar? This varies from product to product. Many start working as soon as they’re applied. It can take some time for the fleas to die and your dog to experience relief though. Keep in mind not all flea collars kill young fleas. A flea control collar is a great option because it’s easy and hassle-free. Adjust the collar to your pup’s neck and forget about fleas for the next 3-8 months. If your dog has had bad reactions to topical treatments or hates taking pills, a collar can be quite handy. However, some collars are only water resistant, designed to withstand a splash or brief exposure to water, and with these other options, you can bathe your dog and let them swim to their heart’s content. Every dog is different, so if your pup gets skin irritation or other reactions from a collar, check out these alternatives! Products like K9 Advantix ii have you apply the formula to your dog’s body by parting the fur on the back of their neck and applying it close to the skin. K9 Advantix kills and repels fleas, ticks, and mosquitos at all life stages before they bite. With this option, you don’t have to worry about losing any effectiveness when your dog gets wet, just make sure the formula dries first. A major advantage of topical treatments is that they don’t have to be taken by the animal. If you can apply it right on the fur without needing internal contact, you’ll save yourself lots of trouble. This is a great option if you’re looking for a fast solution to a flea problem. Most brands of flea treatments claim their products work right away; some recommend you give it some time to see results. With an oral medication like Advantus Soft Chew, you can expect it to start working within an hour. This product is safe to take daily. One issue with oral meds is that pets tend to hate them. Can you blame them? Nobody likes to dry-swallow a giant pill. The trick here is to be sneaky about the medication. Pet owners usually wrap pills in a piece of cheese or ham and then feed it to the animals. This method is successful about 50% of the time, so really, there isn’t any guarantee that it would work, but it’s a good strategy if you’re set on using oral medication. DTMcare Ultrasonic Flea and Tick Collar is a new technology that uses ultrasonic waves to control fleas and ticks. Use it in case your pup is sensitive to chemicals, as it is completely chemical free. Staying away from chemicals is always a great idea. While you may think that your pet is okay and not overly sensitive, some reactions may manifest later and lead to serious complications. So play it safe. The wave repeller is odorless, mess-free, and waterproof with a rubber cover. This collar is adjustable and will fit any dog with a neck size up to 30 inches. We understand that as a pet parent, you want your dog to be happy and healthy. Life gets hectic so we don’t always have the time we’d like to spend in taking care of our canines, so understandably, you want the most maintenance free-way to solve the flea and tick problem. While you should really take your time to make a decision, you should know that when it comes down to it something that doesn’t work for one dog could work wonders for yours. So keep this in mind when reading customer reviews. We’ve reviewed various ways of protecting your canines from nasty bugs. There are topical treatments, repellents, and oral medication. These three work well. However, no one of them seems to be ideal. Topical treatments are decent, but you have to chase your pet around to apply it. Oral medication is a tough pill to swallow, quite literally. Tricking your beloved canine into taking a pill will take a large degree of creativity and can be really messy. This leads us to the best solution – a collar. With the right flea collar, you can get rid of those annoying fleas or ticks, and you’re sure to be your dog’s favorite human! Have you used any of the products above? Do you have any tips, comments, suggestions? Let us know in the comments below; we’d like to hear from you!